Waikoloa Village Golf Club is located six miles above the Waikoloa Beach Resort and Waikoloa Heliport in the rarefied air of the burgeoning burb of Waikoloa Village. 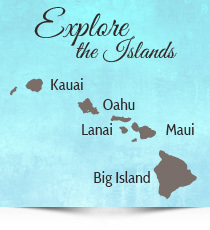 It is often overlooked by visitors due to location confusion caused by its “Waikoloa” moniker. 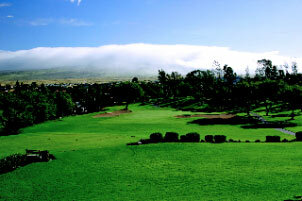 However, it should be an integral part of any Big Island golf adventure, especially for a first or second round. The Robert Trent Jones Jr. design is inspired by its location, which is highlighted by 360° vistas of the most illuminating variety. From virtually every on-course location there are distant views of the Kohala Coast, Pacific Ocean, Maui’s Haleakula Volcano and the two volcanic giants of the Big Island — Mauna Kea and Mauna Loa. The Village’s rarefied air, at about 1,000-feet above sea level, provides a bit of a respite from the Kohala Coast’s warmer temperatures and breezes, which makes it a great place to visit a couple of times during your Big Island golf vacation. Temps at Waikoloa Village Golf Club will be 4-5° cooler and less breezy than the sea level layouts. Set in the midst of a planned community and flanked by a surreal volcanic landscape the verdant, rolling layout, with a terrific assortment of gently legging holes, appeals to every level of golfer. And its lush, well-maintained and enjoyable layout always offers a challenge, even to the most seasoned striker of the dimpled sphere. 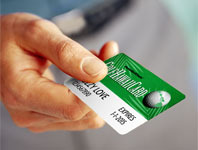 Be sure to take advantage of the Waikoloa Village Golf Club’s practice facilities, newfangled fleet of power carts and some of the terrific dining options at the adjacent Waikoloa Highlands Shopping Center, where you can find Island Lava Java, Subway and Pueo’s Osteria, one of Hawaii’s best restaurants.